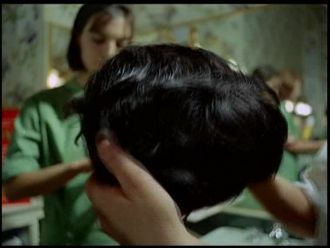 10 differences (cuts/re-arranged shots) = 25 minutes und 12 seconds. 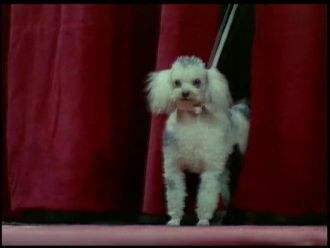 Due to the great success of the documentary Mondo Cane, which was released over 50 years ago. 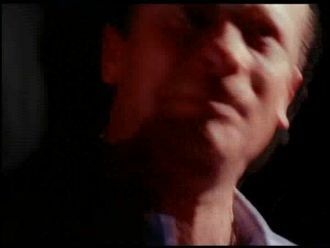 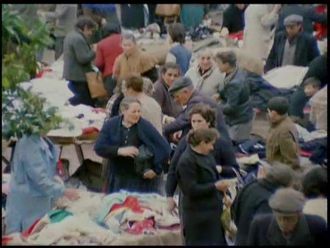 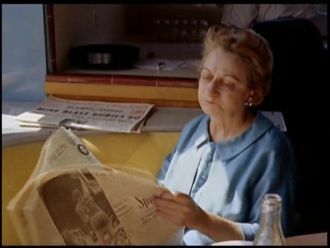 Mondo Cane was the first of it's kind and inspired many similar documentations, one year after it's release it spawned the sequel Mondo Cane 2. 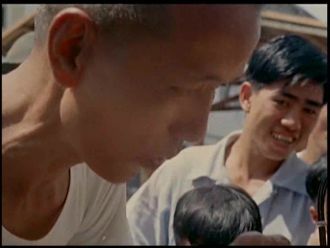 As in the first movie, in the sequel a film-team is travelling to different countries in order to document the life of different cultures. 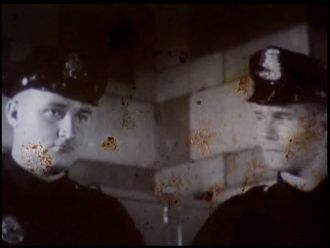 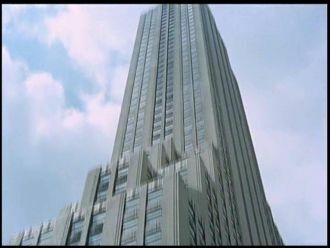 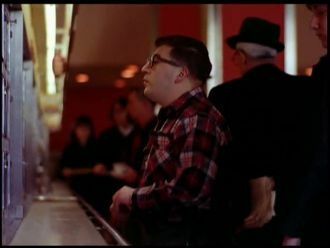 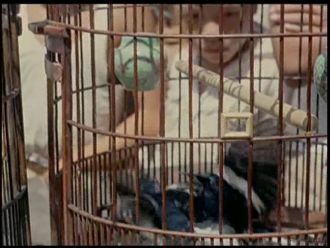 However in this case mostly unused scenes of the original movie were used. 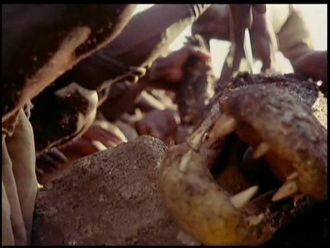 Similar as in the first movie the sequel covers different traditions, cultures, rituals, religious fanaticism, social idea of morality, animal combats, torture to children and other bizarre stuff. 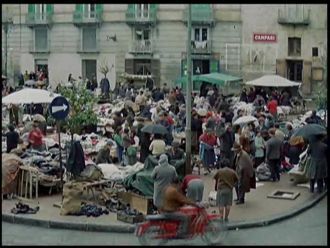 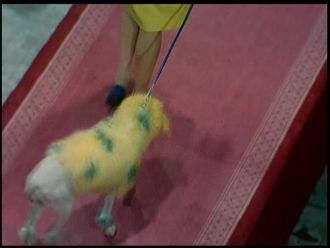 Loosely speaking, Mondo Cane 2 shows the weird and cruel things humankind is capable of. 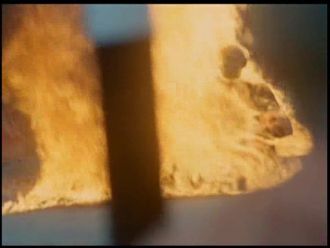 Intention is to shock one way or another with the provided scenes, maybe it did back at those times. 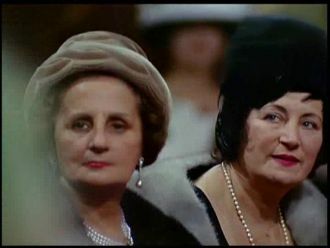 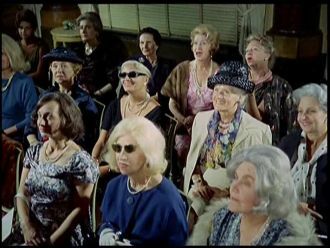 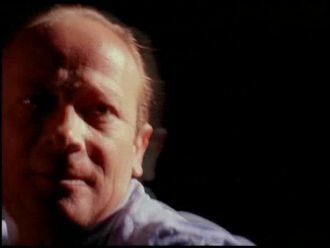 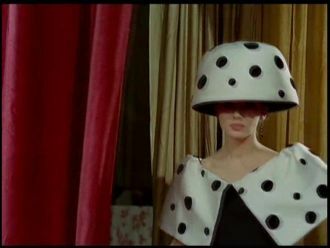 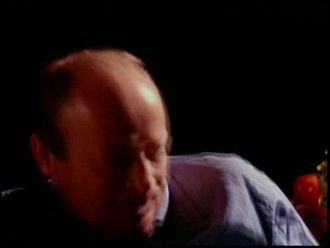 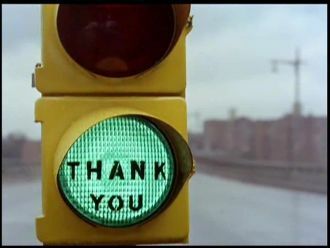 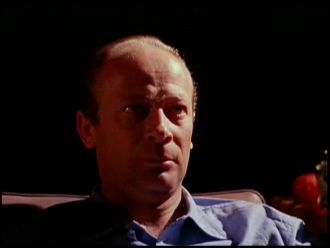 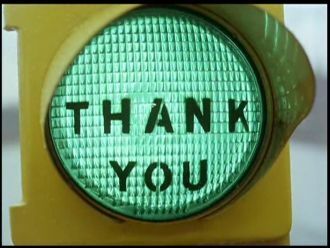 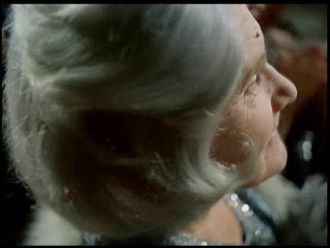 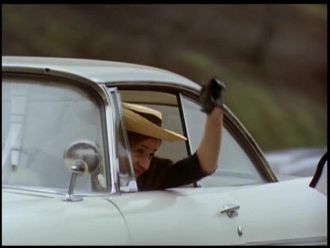 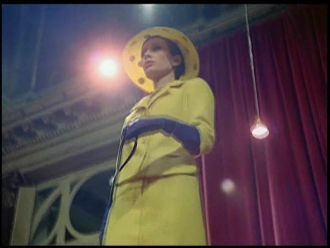 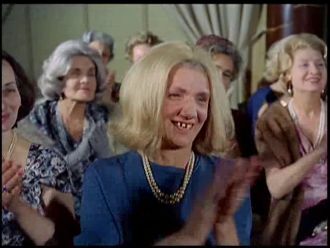 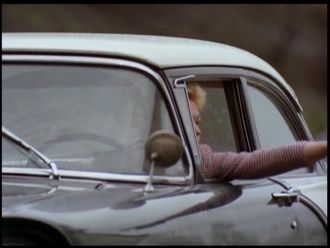 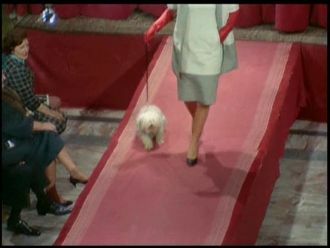 However, for today's viewing habits the presented has not a shocking effect, instead it mostly seems boring and silly. 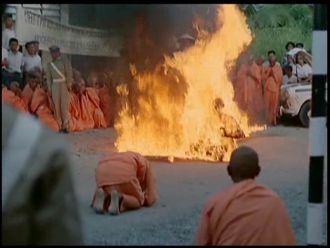 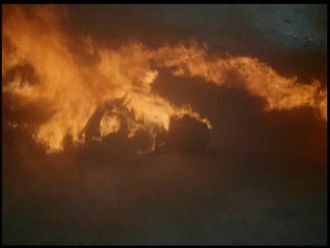 Especially, some of the scenes are not real but reenacted, like the incineration of the buddhist monk for example. 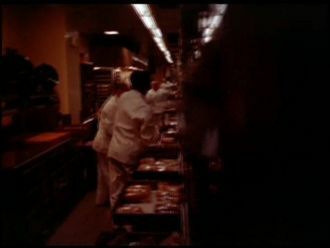 Those who hope to get a hard gory-documentation will be pretty disappointed. 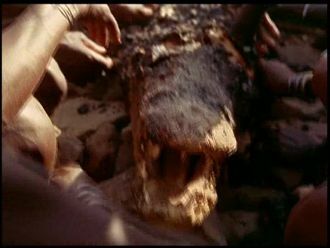 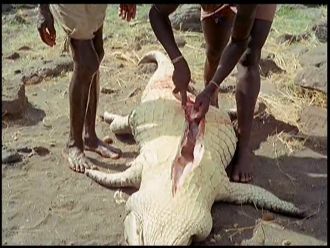 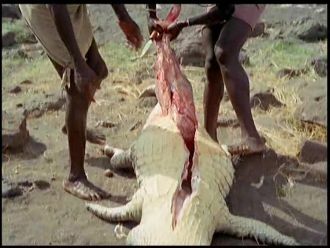 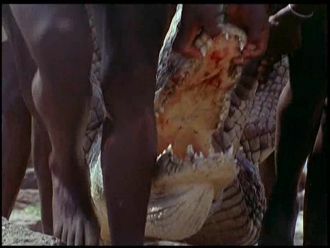 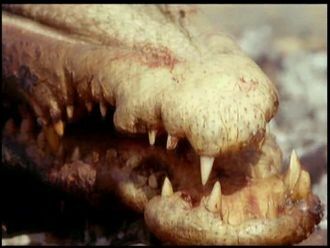 Except some animal combat, a crocodile evisceration, 2 self-inflicted incinerations and a hanging (the later 2 mentioned examples are only staged), there are no scenes which would be considered hard and gory. 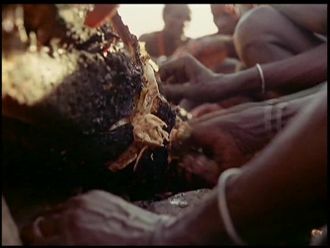 Overall, a medicore documentation about the traditions of humankind and to what heinous deeds humans are capable of. 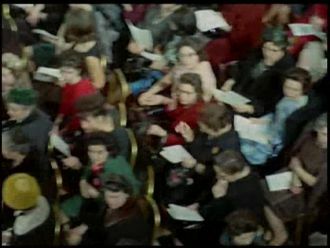 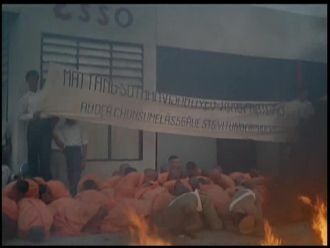 Woodheaven published the censored version on DVD, missing a whole of 25 minutes in total. 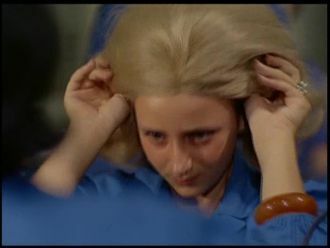 Fortunately there is an alternative, Blue Underground's US-DVD release is completely uncut, available individually or compiled with other Mondo Cane movies in a special collection. 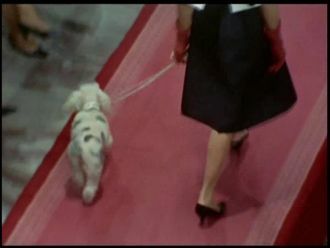 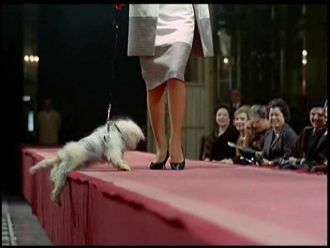 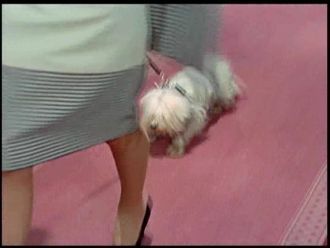 Dogs are dragged over a catwalk by female models and flaunted to an audience. 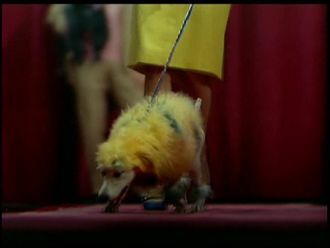 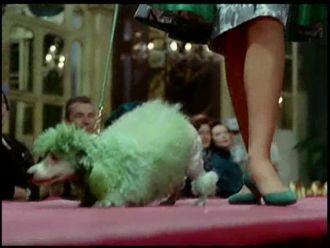 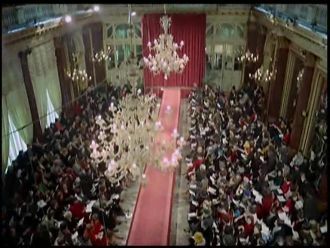 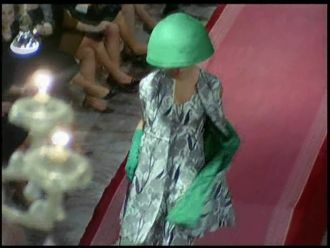 The dogs'furs are dyed in order to match the colors of the model's dresses. 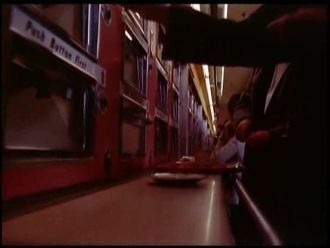 This scene is completely missing in the US-Version. 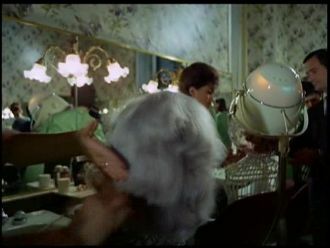 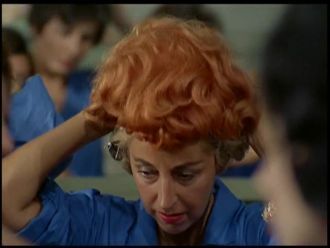 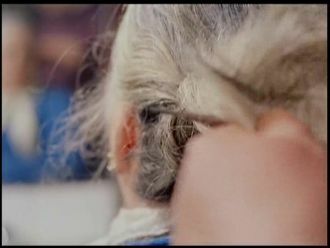 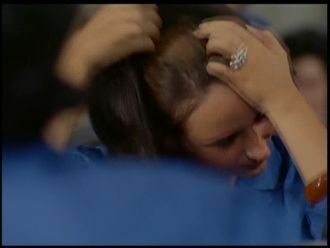 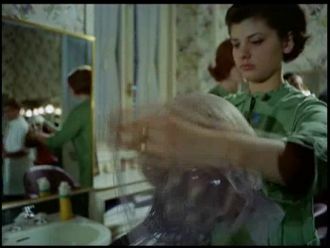 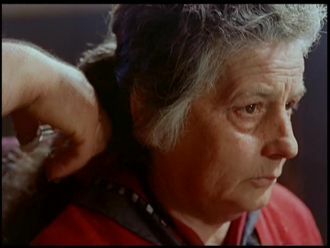 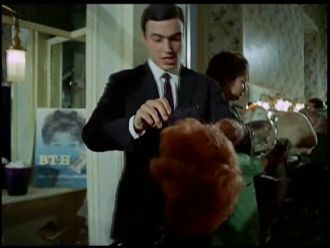 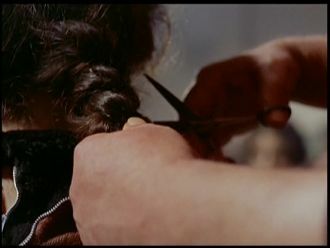 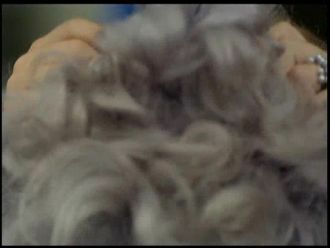 In the next scene different women are shown getting a haircut inside a salon, the hair gets sold on a marked later. 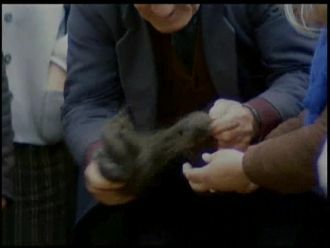 Furtermore wigs are manufactured from the hair, the wigs are groomed and later handed out to women for try out. 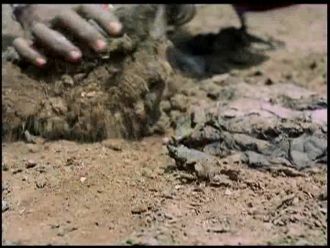 A clump of mud can be seen to get folded for a slightly longer period of time. 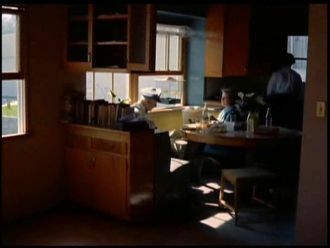 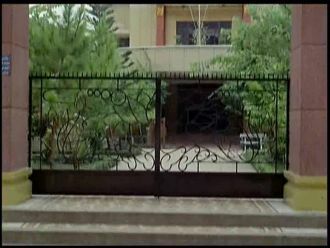 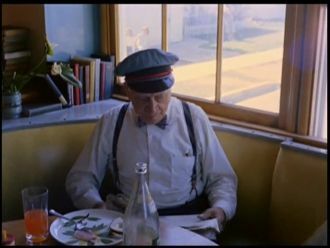 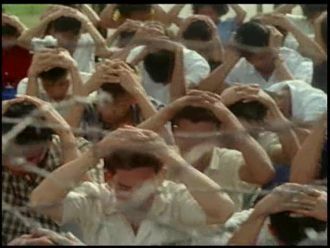 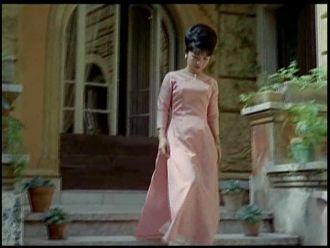 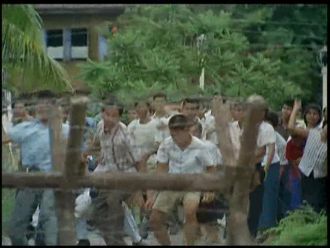 The scene containing inhabited bungalows, which were modified to caravans and are driven around, was shortened for the US-Version. 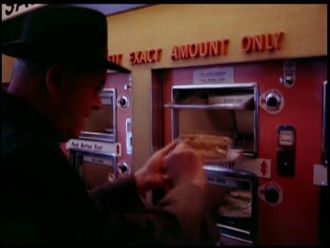 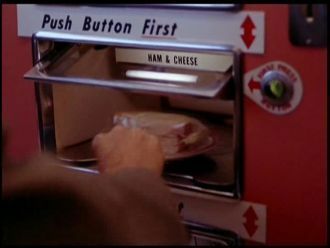 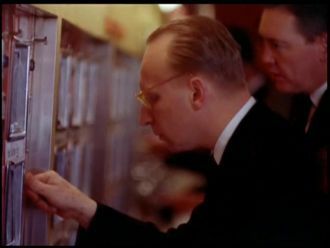 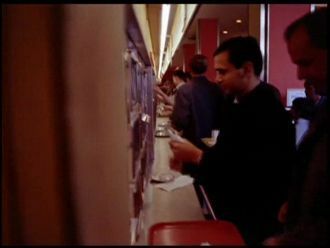 Hungry people can be seen inserting coins into vending machines, containing sandwiches, at a self-service shop. 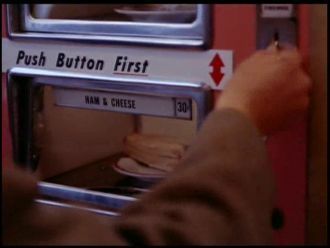 After coins have been inserted, the respective flap of the vending machine opens and the food can be taken out. 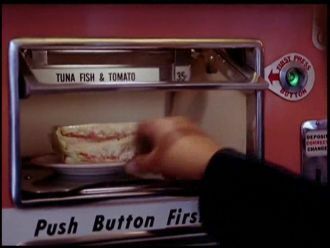 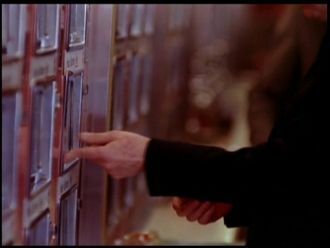 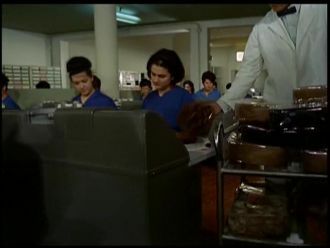 At the back of the vening machine it get's refilled with food by employees. 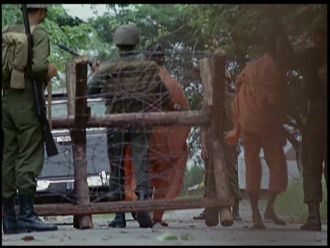 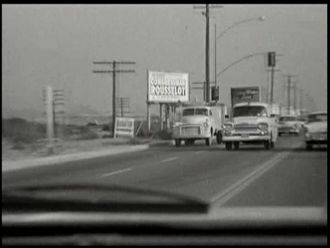 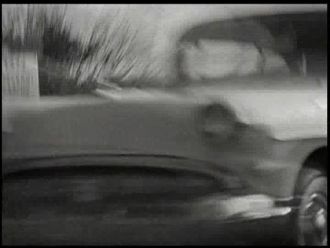 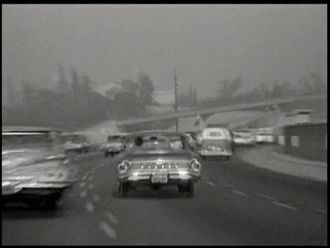 In another scene cars are shown waiting in front of a barrier system. 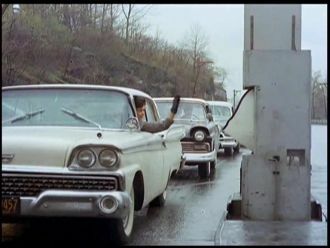 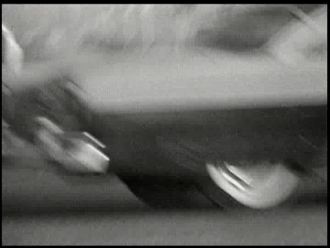 After a coin has been inserted by the driver the barrier opens up and the car is allowed to proceed. 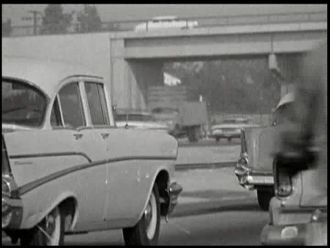 Subsequently the narration reports on the nation wide traffic chaos on US roads and the high amount of car accidents involving injury or death. 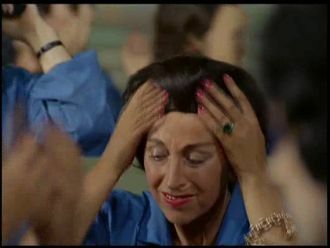 A small theater for easing of psychological tension is introduced, visitors are encouraged to release their pent up emotions after a stressful car ride. 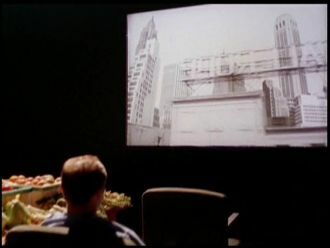 Exactly such a visitor is shown sitting in front of a projection screen, watching a movie about traffic chaos. 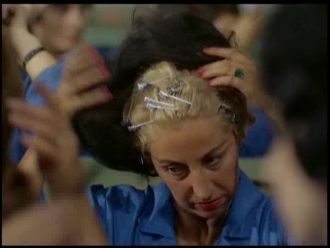 THe visitor already appears to be angered and stressed out. 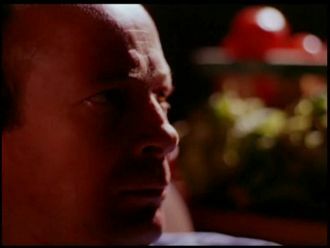 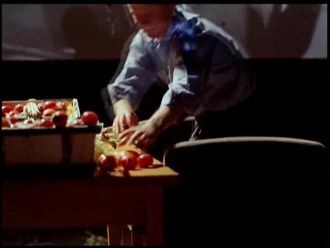 Next to him stands a table with tomatos and other vegetables on it. 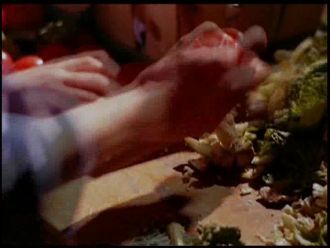 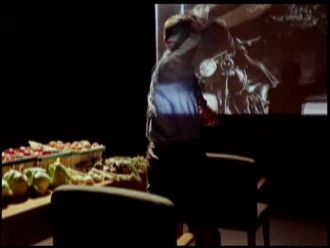 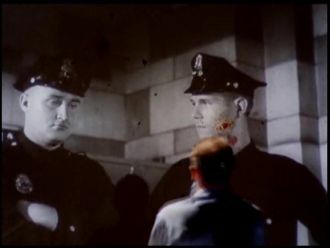 He suddenly get's up during the screening and throws several tomatos to the projection screen to release his anger. 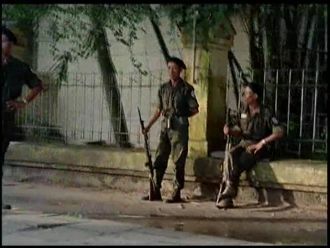 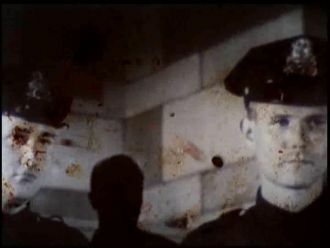 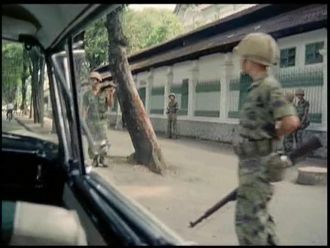 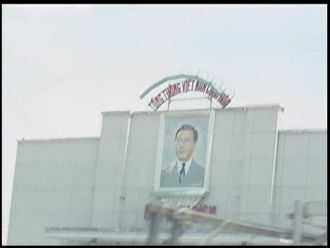 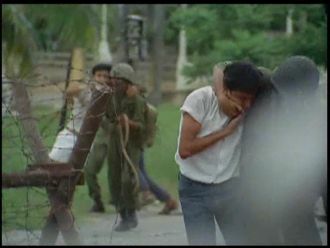 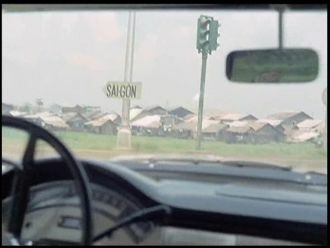 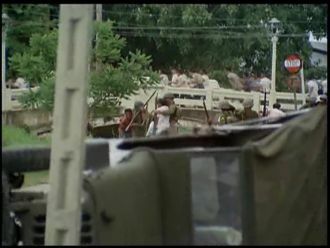 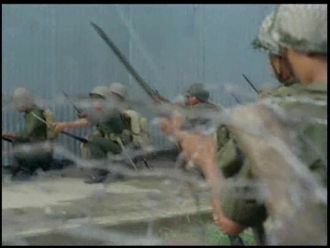 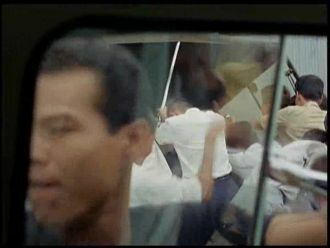 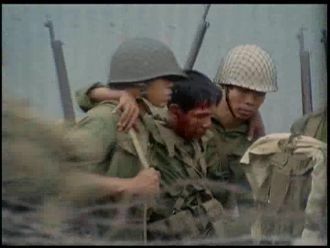 While driving through parts of Saigon the occupants of the car come across some soldiers, who have besieged and closed off wide districts of the city. 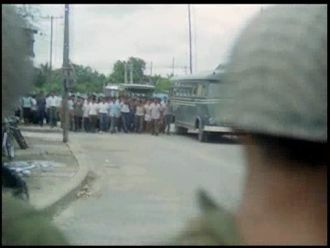 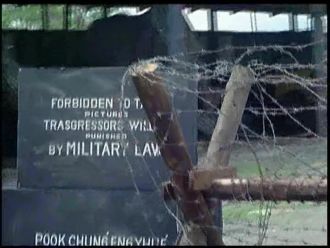 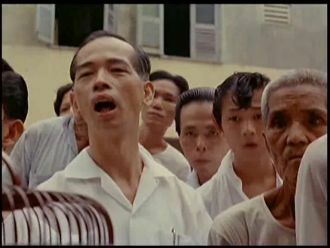 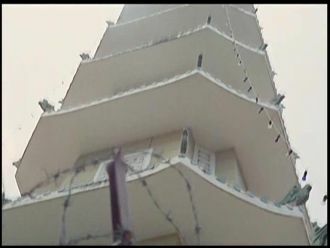 A narrator comments among under things, that the soldiers act under the command of the Vietnamese president and are ordererd to take extreme action against the buddhists of the country. 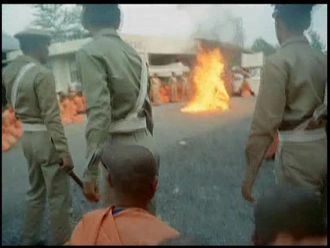 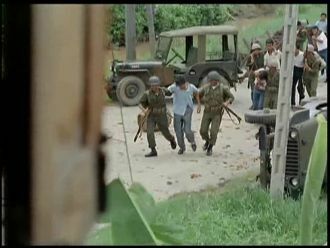 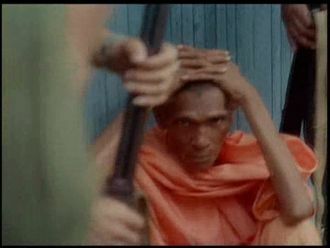 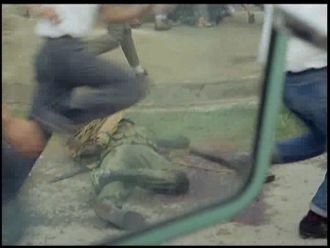 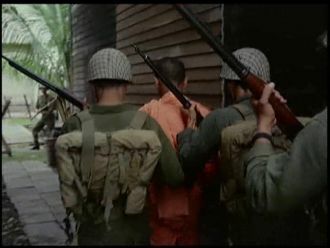 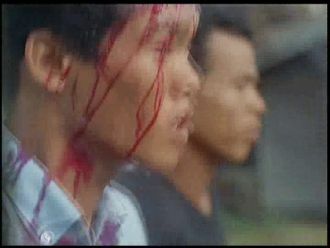 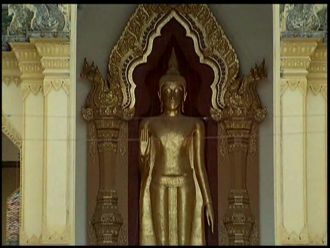 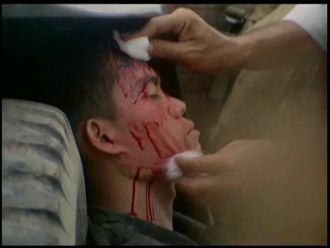 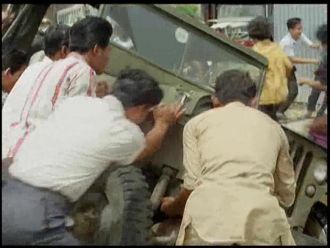 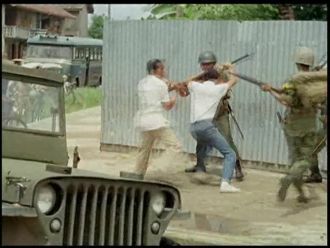 A demonstration results in a violent confrontation between buddhists and soldiers. 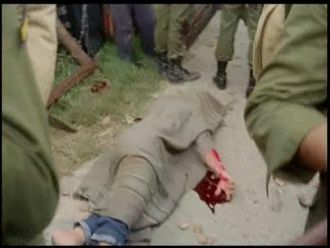 The injured protestors are arrested and taken away by the soldiers, the riots even resulted in deaths to mourn. 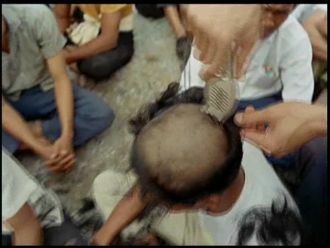 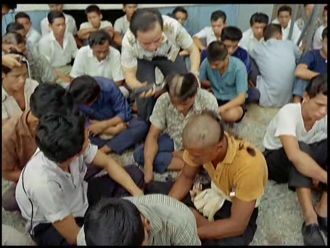 Arrested and locked away protesters shave their heads in solidarity with their priests, after they returned to their old teachings and faith. 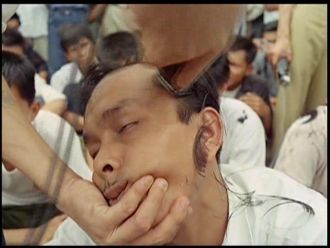 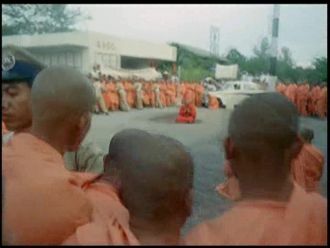 In order to highlight the arbitrary violence buddhist protesters are exposed to monk "Thich Quang Duc" allowes himself to be poured over with gasoline and set on fire. 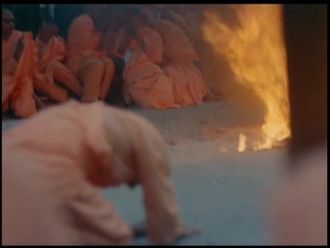 While he sits motionless and in flames on the street, the other monks gather around him and pray for his soul. 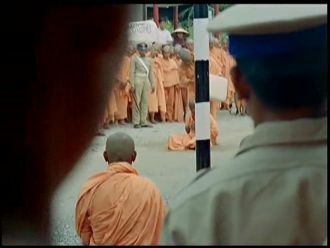 Other spectators join them, they are bewildered by the monk's desperate act. 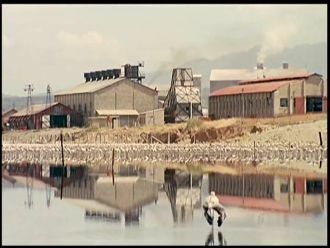 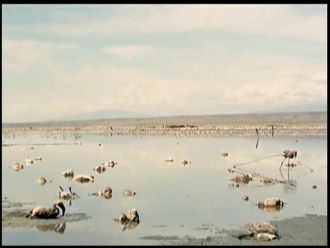 This scene is an unfortunate example of humankind's ruthless treatment of nature, it shows a factroy draining waste water into a nearby lake. 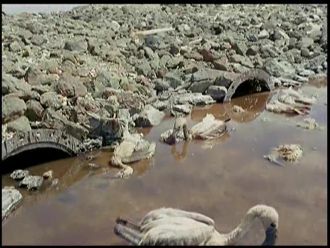 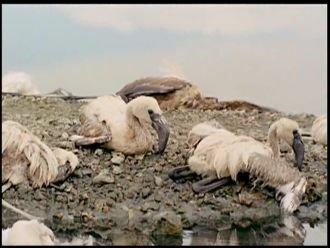 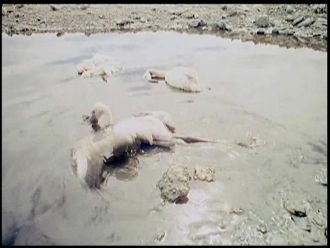 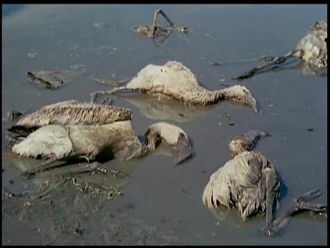 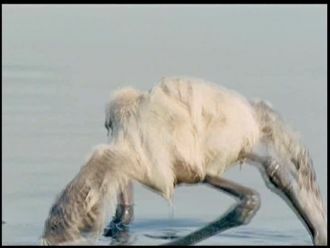 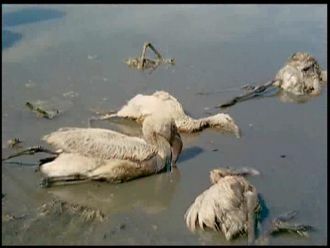 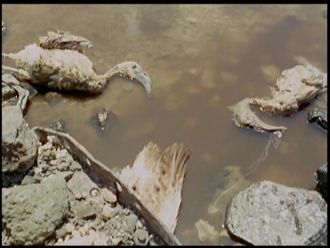 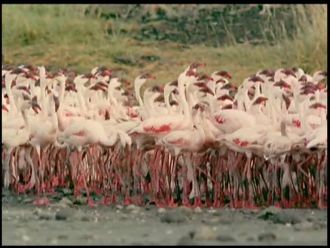 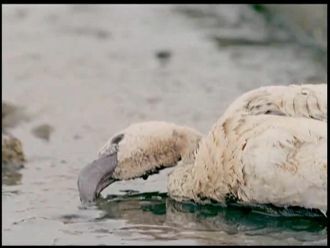 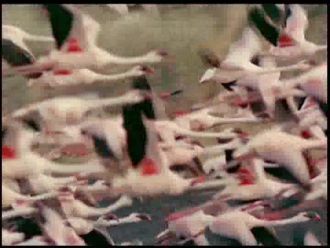 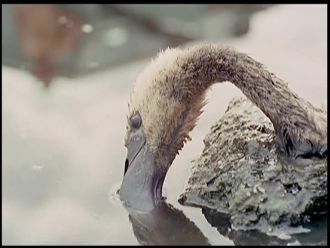 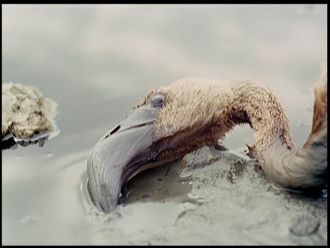 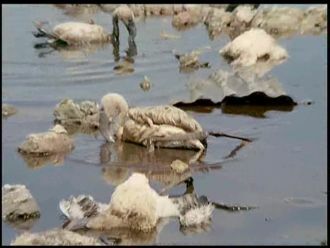 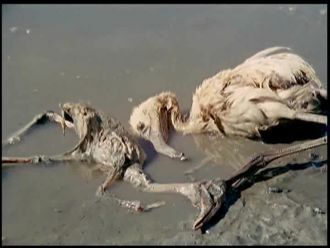 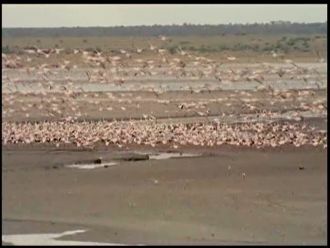 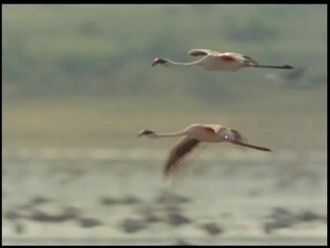 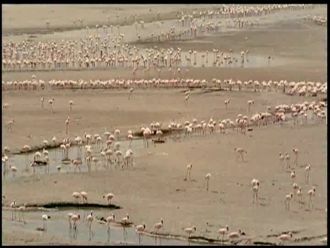 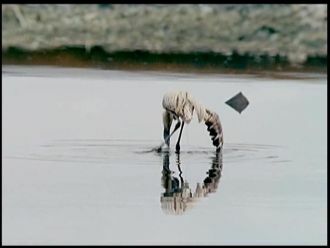 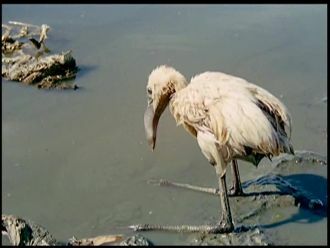 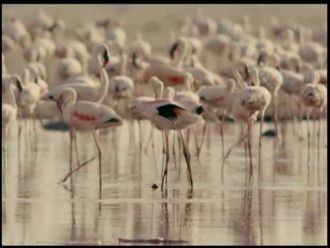 The result: numerous flamingos slowly perish torturously in the contaminated water. 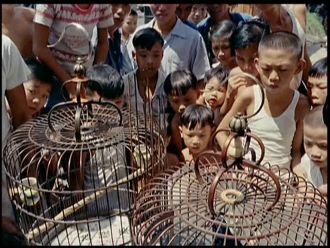 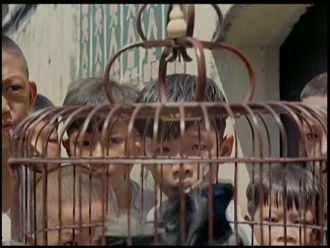 Curious onlookers circle a cage where a disgusting and brutal bird fight takes place. 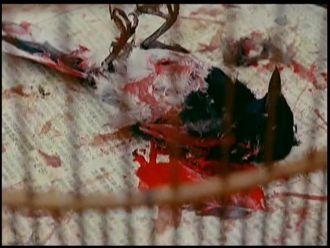 The fight ends with the defeated bird laying on the ground battered and covered in blood lifelessly. 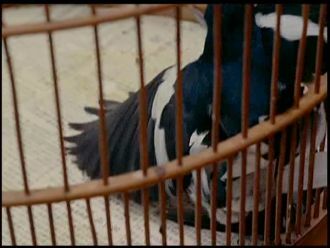 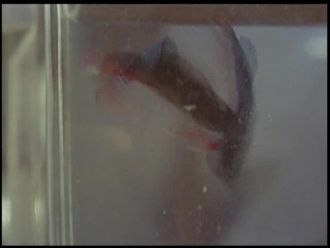 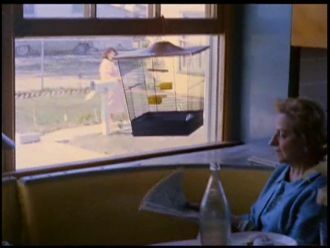 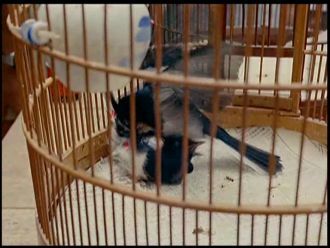 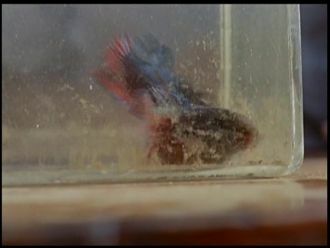 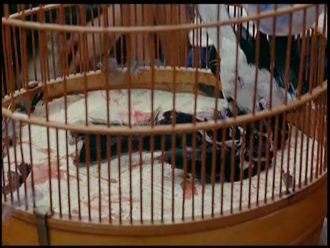 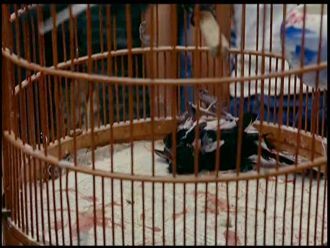 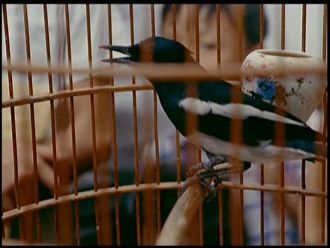 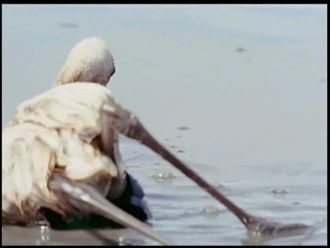 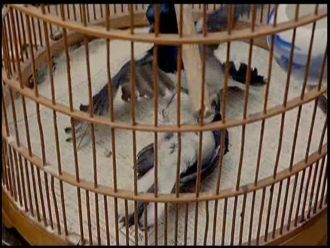 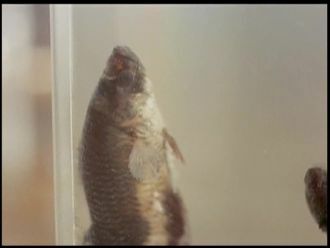 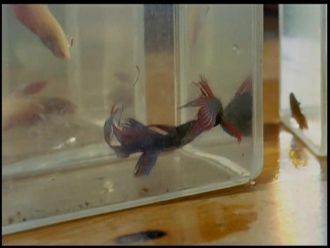 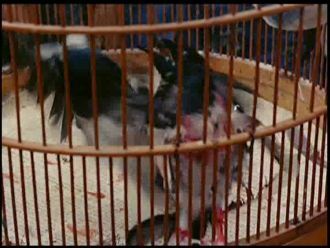 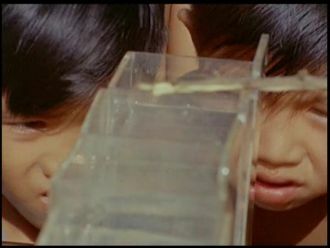 The bird fight is followed by a scene where 2 fishes are fighting inside canisters filled with a special fluid. 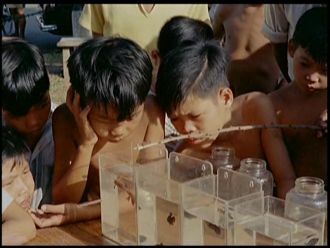 As in the last scene several onlookers surround the canisters and spectate the fight, adults as well as children. 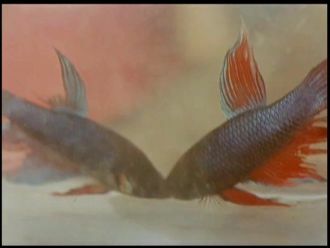 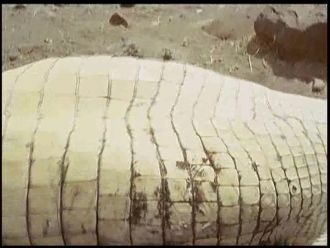 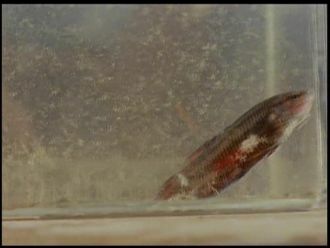 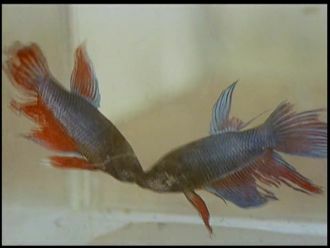 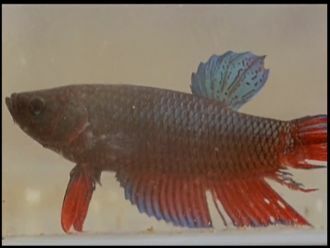 The defeated fish is killed by his opponent. 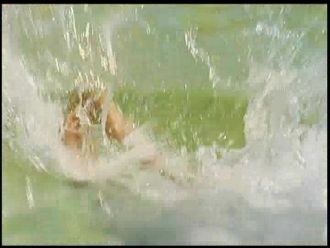 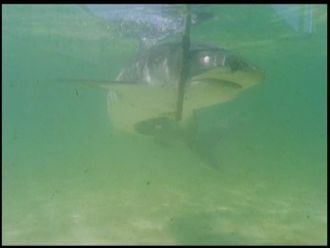 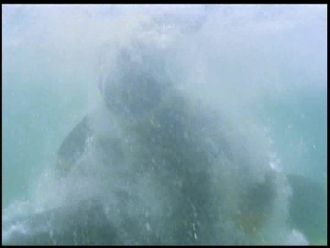 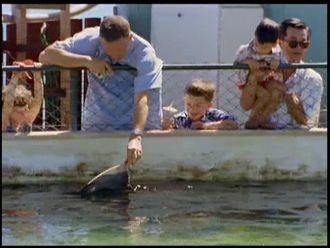 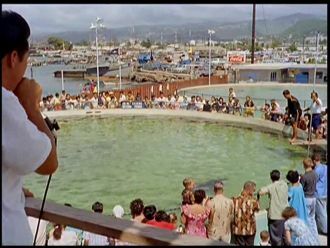 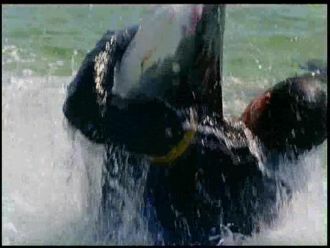 In the following scene a water tank with a shark is shown. 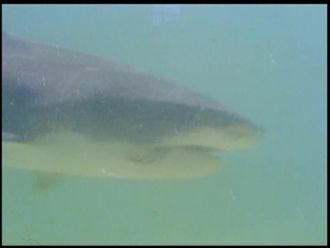 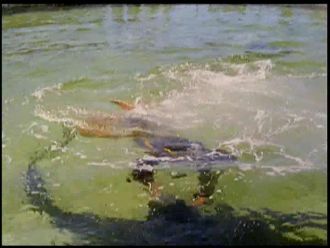 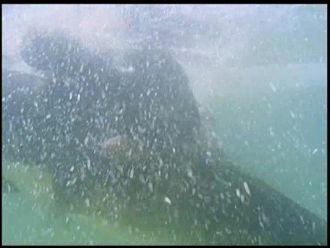 The narrator comments that inside the tank fights between sharks and humans take place frequently. 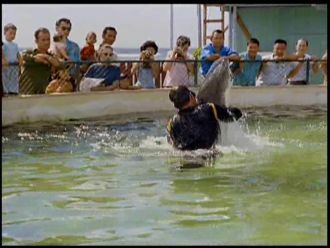 Following this a brave man jumps into the basin and wrestles with the shark. 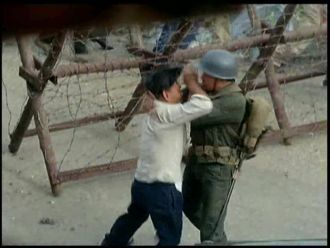 The fight finishes after a while and the man can be seen leaving the basin. 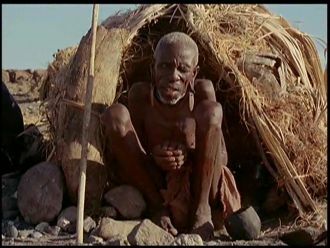 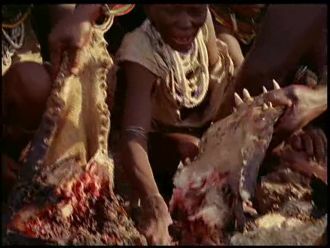 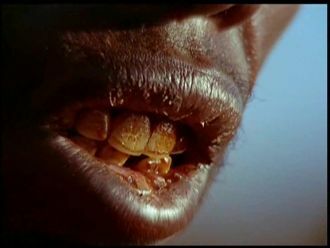 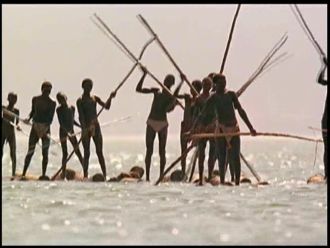 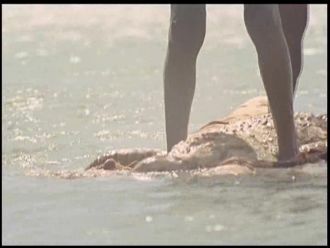 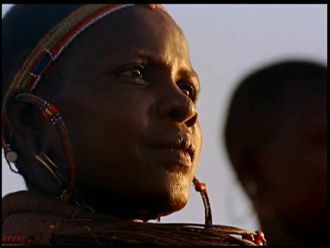 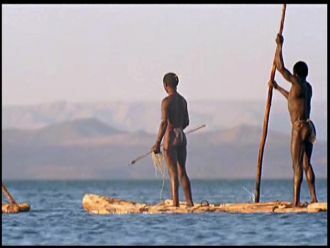 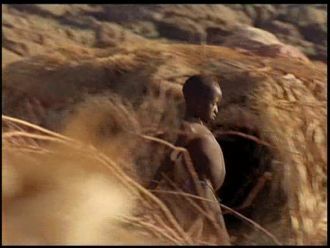 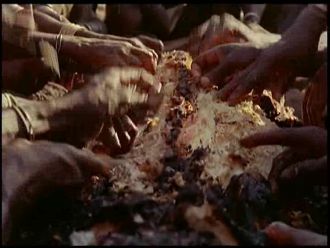 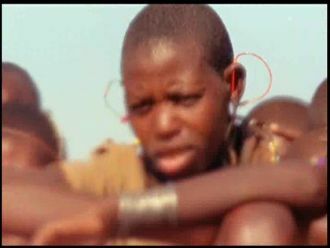 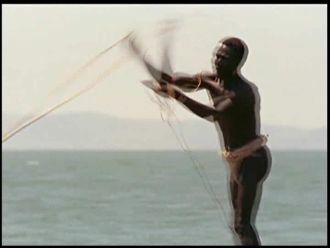 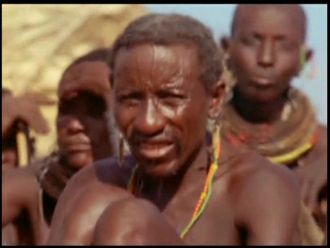 Further cut from the US-DVD is the fishing trip of a tribe of african indigenous people. 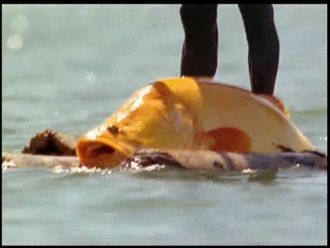 They are lucky and capture a kaiser-carp. 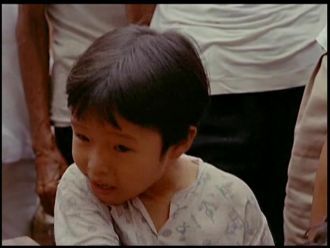 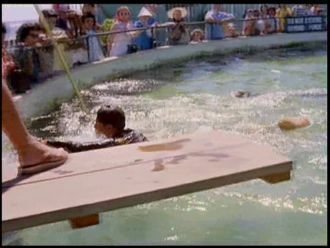 They fished the carp especially for a young boy who is considered the last hope of the tribe. 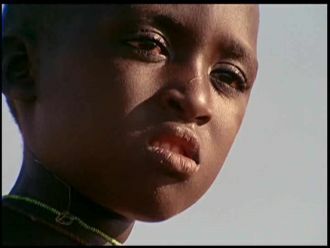 Due to a lack of births in the past, this boy is the only male in his age group. 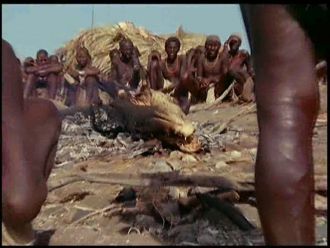 They are hoping he will bring plenty of offspring and prevent the extingtion of the tribe.